1080 and why I think its the best trade off steel. No grand new year statements or plans of action, just another no BS article on why 1080 is a very good choice. I am a picky smith when it comes to my choice in HC steels. I tend to prefer the tougher alloys and how they react to being worked and then quenched over being obsessed with the level of hardness achieved. I have been making RRS knives for a very long time and I love the properties of the 1040HC used in the spikes. It hardens and forges easily with little worry of cracking so I wanted to find a Bush knife quality HC steel with a similar ease of properties in a flat stock form. I decided after having issues with used leaf springs cracking I would order fresh flat stock steel. I chose 1075/1080 blade steel because I felt it would be a balanced and easy to forge steel for my line of Bushcraft knives. What got in return was better than I expected because not only does this steel forge nicely, it has shown no quenching issues, over hardening or cracks while forging at all. The other really nice thing about this steel is that you still get high edge durability and low material cost. When we are talking about making survival knives it is important to remember what is actually needed in your blades performance. You must have your hardness and durability balanced so that it can survive the punishment and also be easily sharpened. A steel like D2 can be frustrating and difficult to sharpen due to its hardness level but it has great impact durability and strength. 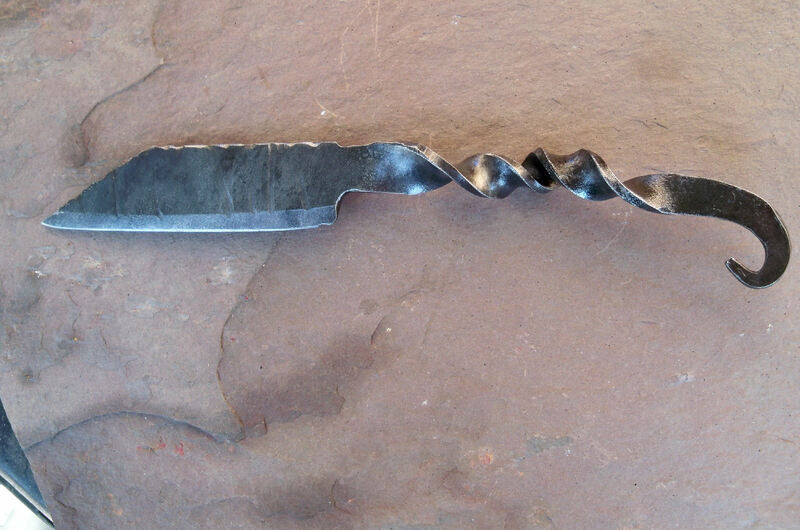 I prefer a carbon steel like 1080 because it is not complicated and can be cared for with a simple wet stone. The hardness can be adjusted to be perfect level for durability and edge retention. Forge at bright orange to yellow. Temper for 30/1 hour at 300/400 degrees. I highly recommend you try this for a good trade-off of features. 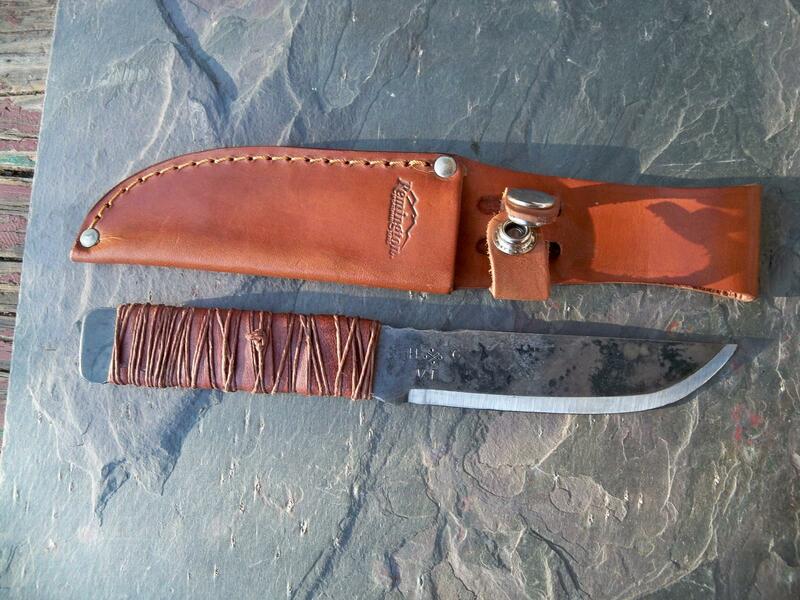 The second knife shown is a hybrid of an ornate Viking iron knife and a small Seax blade. Check out my shop for some very unique Jewelry and wrought iron pieces.